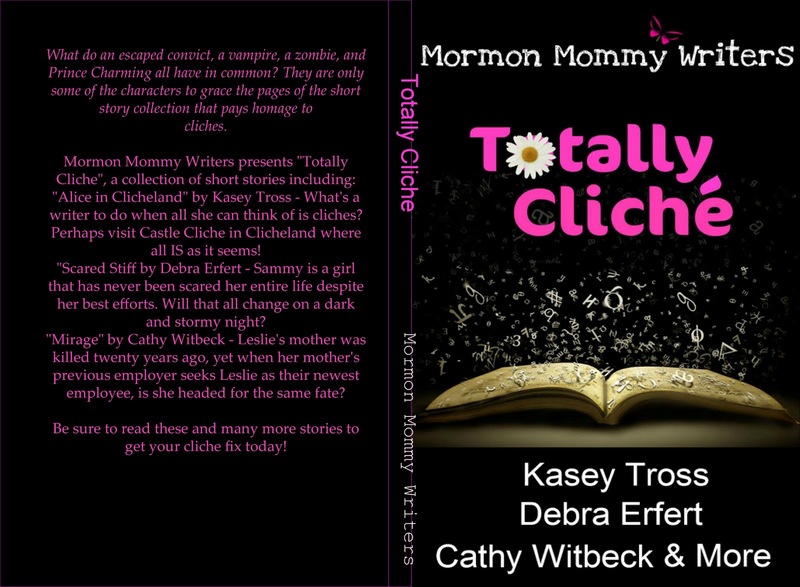 Mormon Mommy Writers and Friends: ANNOUNCEMENT: "TOTALLY CLICHE" IS NOW IN PAPERBACK!!! ANNOUNCEMENT: "TOTALLY CLICHE" IS NOW IN PAPERBACK!!! That's right, Mormon Mommy Writers is now the proud parent of a paperback book! I do believe parenthood is an apt analogy because just like children, books are conceived, labored over, finally given birth, and then the real work begins!! That's how I feel about "Totally Cliche". We had so much fun coming up with the idea for the contest and the book. Then we absolutely loved reading the stories as they rolled in from all of you. Next we had to do some work, and everyone involved did some editing and fixing and tweaking until each story was just right. With your help, we chose a cover...then rechose a cover until it felt right. Once all that was done, it was time to learn how to self-publish. We started with making it into an e-book. Formatting for an -book and a regular book are completely different as well. We went through Createspace to make our paperback. Luckily they are very user friendly and I was able to understand all the steps of the process. It is such an amazing feeling to finally hold that long awaited book in your hands. Not quite as exciting as holding your child for the first time, but close. Now that our book is born, like I said earlier, the real work begins. Now it's time to market and promote and tour (on blogs of course!). So since we are promoting our new book, and I'm still in a giving mood from last month, we are giving away a FREE paperback copy of "Totally Cliche"!!! You have until 11:59 pm NEXT WEDNESDAY!! I will announce the winner Thursday morning and on the Winner's Circle as well. 1. How do you know who to contact to see if they might be interested in publishing your book once you have it written? 2. I am a follower of this blog!! 3. I also follow MMW on Facebook!! 4. 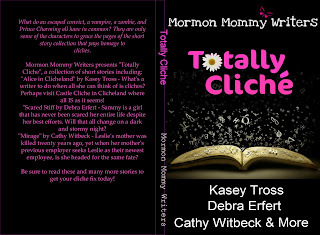 I also advertised about your book "Totally Cliche" on my Facebook page! Thanks for the giveaway...........it looks like a great book!! 1. Will you publish my WIP? just kidding. What are some of the major formatting differences between e-books and in-print books? 2-4. I am a follower of the blog & facebook and I shared the link for the free book giveaway. YIPPEE!! I can't believe its in print! Great job! 1.How long does it take to publish a book? What is the process? 2.I am a follower of this blog. 3.I follow MMW on Facebook. 4.I advertised this book on my Facebook.